The Irish language feature film from Derry-based filmmaker Tom Collins ('Kings', 'An Bronntanas') will have its television premiere on TG4 this Easter. 'Aithrí/Penance' is a period thriller set around The Easter Rising. 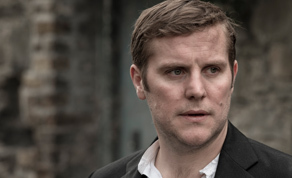 Fire-brand Father Eoin O’Donnell (Peter Coonan) is convinced that only violence will force Britain out of Ireland. He influences young, impressionable Atain óg to fight in the lead up to the 1916 Rising. The two meet again in 1969, re-examining the roles they shared and the consequences of their actions. Filmed in Ramelton, Co. Donegal and Derry City, 'Aithrí/Penance' was produced by Derry-based DeFacto Films and Edwina Forkin’s, Zanzibar Films. Director Tom Collins also produced the feature film which was co-written with Greg Ó Braonáin. Peter Coonan (‘Love/Hate’) leads an impressive cast includes Barry Barnes (‘Michael Collins’), prolific stage-actor Barry McGovern (‘The General’), Gerard McSorley (‘Veronica Guerin’), Mimi Carroll (‘An Klondike’), Terry Byrne (‘Game of Thrones’). Tony Devlin (‘Hart’s War’) and Dara Devaney (‘Float Like a Butterfly’) also star, alongside rising star Diona Doherty (‘Derry Girls’) and newcomer Padhraig Parkinson as Atain óg. “TG4 is delighted to be screening the TV premiere of ‘Aithrí’ this Easter. This was a very ambitious project, with a wonderful cast and crew. Taking inspiration from Ireland’s challenging history and giving stories a contemporary twist has always been part of TG4’s ‘Súil Eile’, or alternative view on Irish life and this gripping film achieves that admirably”. 'Aithrí/Penance' will be on TG4 on Easter Sunday, 20th April, at 8.55 pm.